We are looking for a mix of 10 UK based mummy bloggers, beauty bloggers and also afro/curly haired bloggers to help with the brand awareness of the Prince’s Trust first vegan beauty brand to be launched through their charity. 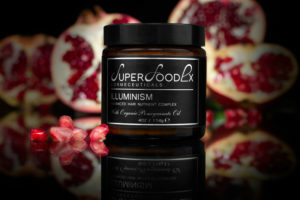 This vegan brand also has a series of new before and after pictures detailing the results of their plant based hair growth vitamins which they would also like to highlight. 1. To provide a picture of one pair (minimum) of our before and after photos and a picture of our product. 3. To discuss that the brand is; family run by an NHS Nurse and Nutritionist mother and daughter team, supported by the Prince’s Trust and vegan. We are also willing to provide a personalised discount code for the bloggers readers. We are also willing to provide a free product for use on the condition that the posted product is going to be reviewed with a featured photo of the actual mailed product.